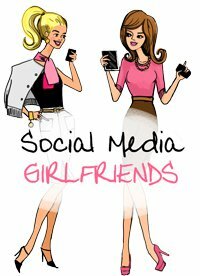 I write for Social Media Girlfriends and last Wednesday we had Paul McCullough on the show teaching us how to make Cherry Tomato Puffs. This was my first time with puff pastry! So fun and SO, SO yummy! I have always wanted to try puff pastry, but have never gotten around to it. I can cook, but I’m not great at it. For example, just a couple of years ago I baked my very first pumpkin pie and instead of a dough crust I used a graham cracker crust and why? Because that was the pie crust sitting next to the pumpkin pie can in the isle at the supermarket. Needless to say the kitchen is not my strongest, but this experience inspired me! 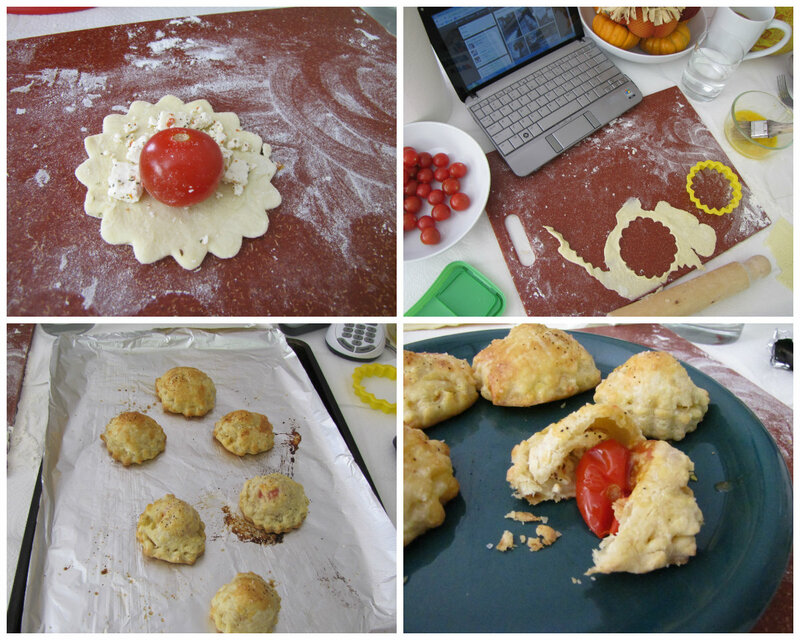 Place puff pastry on floured work surface and use 2-3 inch round cookie cutter to cut out 2 pastry circles for each tomato – I picked the first cookie cutter in my tub of cooking cutters because I was in a hurry. LOOK at the CUTE little design that happened because of the edges of the cookie cutter. 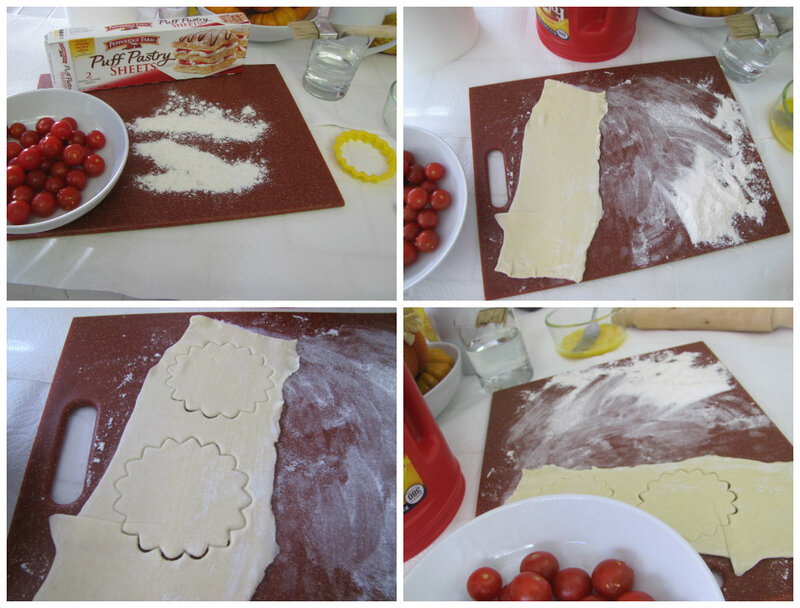 Brush edge of pastry round with water then place tomato in center. 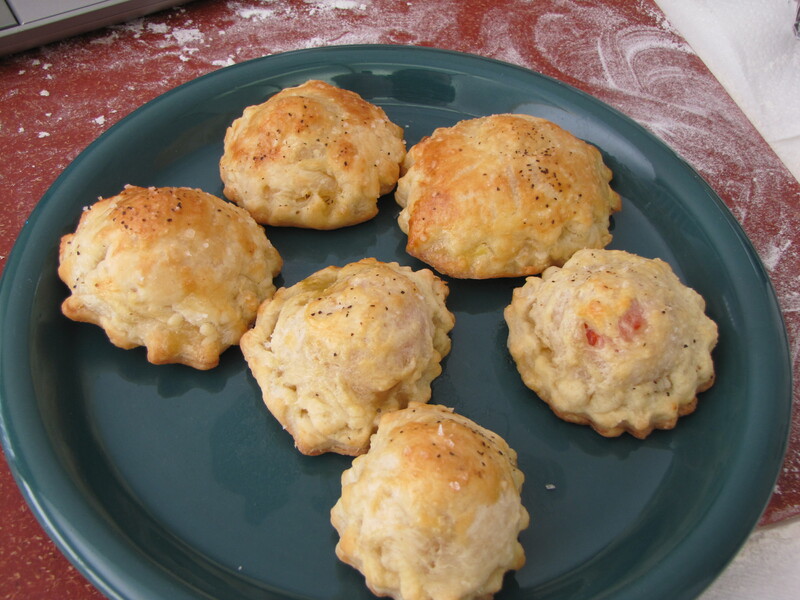 Top tomato with second pastry round and gently pinch edges of both rounds together to ensure a good seal – Here I added some different cheese in each puff; feta cheese, havarti cheese and mozzarella. Lightly brush each puff with a beaten egg and sprinkle with Maldon salt and pepper. Bake for 12-15 minutes until well puffed and golden. 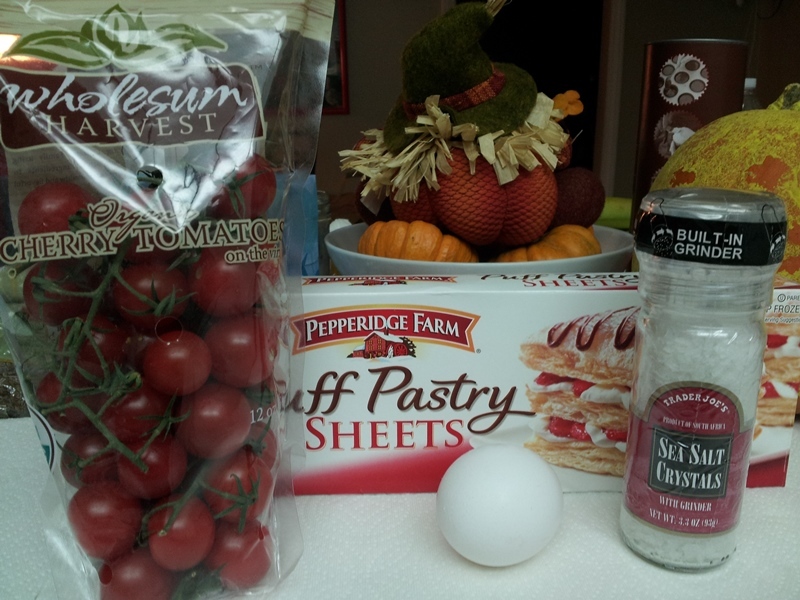 I am so excited about this puff pastry that I searched for more puff pastry recipes only to find the Pepperidge Farm website and all their puff pastry recipes. Yum! I think my family is in trouble!